Since 2010 fans are waiting for the DVD version of Eminem’s Recovery shows. We offer to watch unreleased earlier backstage video that was shot on a professional camera during Eminem’s performance at European concerts in summer of 2010 in support of the “Recovery” album. 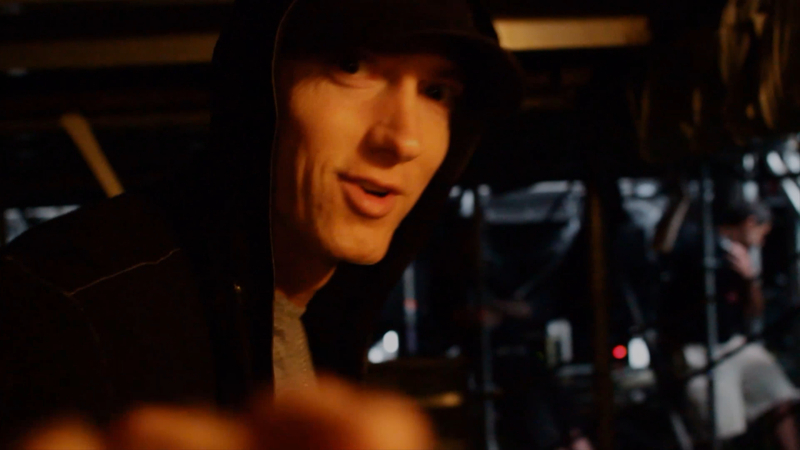 In this 16-minute documentary, you will see Eminem’s appearance on the stage from the backstage perspective, the rehearsal of the performance, comments by Eminem and his team and, of course, Marshall himself on stage through a professional camera lens!